Yaris * (Latin America & the Caribbeans, Europe, Middle East & South West Asia), известен также как Vitz (Kamigo Plant, Japan) и Echo (Africa, Asia, Oceania) выпускатся с 1999 года. Комплектуется двигателем 2NZ-FE DOHC+VVT-i (NZ series, inline 4, chain, BHP:88@6000, Torque:89@4400, CR:10.5:1, DIS. 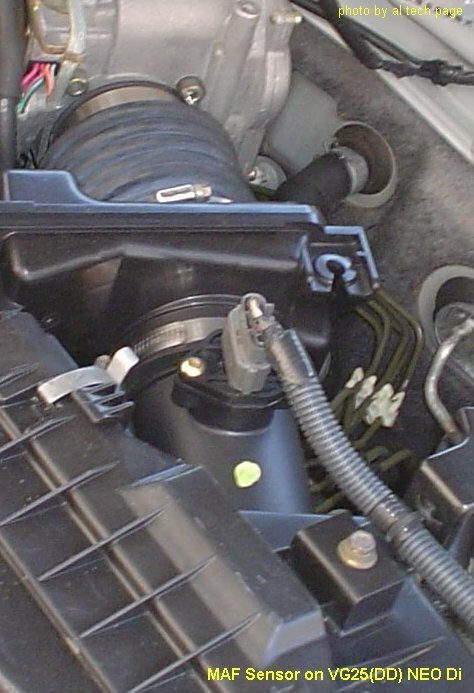 Известны варианты с двигателями: 1.0 VVT-i 65 hp (2001-), 1.0 (1999-2000), 1.3 16v VVT-i 87 hp (2001-), Versio 1.3 (2001-), 1.4 D-4D 75 hp, 1.5 VVT-i 105 hp (T Sport) и др..
DTC P0171 (MIL code 25) System too Lean. When the air fuel ratio feedback is stable after the engine is at operating temperature and the fuel trim has reached its limit of correction to the rich side. (2 trip logic). DTC P0172 (MIL code 25) System too Rich. When the air fuel ratio feedback is stable after the engine is at operating temperature and the fuel trim has reached its limit of correction to the lean side. (2 trip logic). 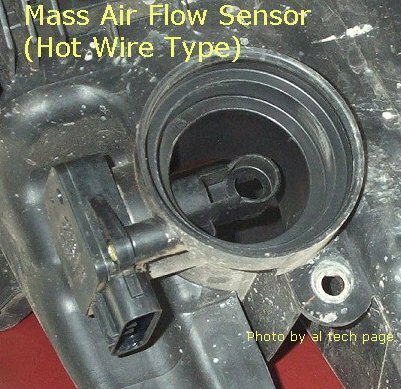 Feedback from the O 2 sensor influences short-term fuel trim and short-term fuel trim influences long trim fuel trim. Short-term values are temporary and not stored when the ignition key is turned off. Long-term values are stored in memory because they are part of the basic injection duration. Long term values affect injection duration in closed and open loop because they are used to calculate basic injection duration. It is important to remember that the actual fuel trim will be the opposite of the DTC. A system too lean, DTC P0171 will mean the ECM is making a + or rich correction. 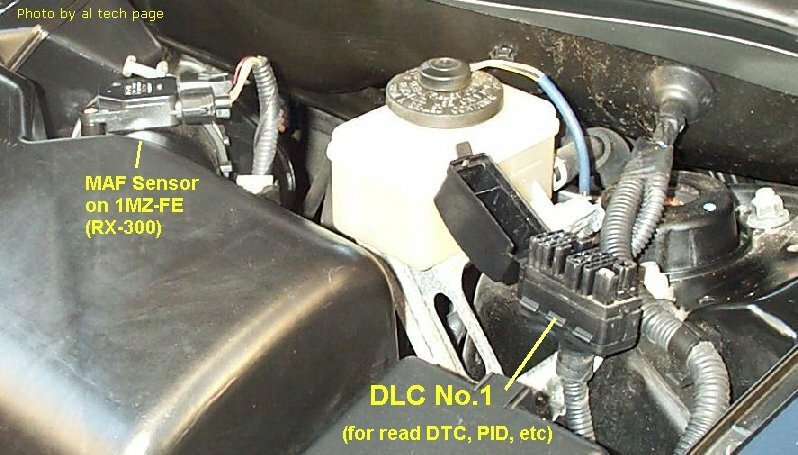 A fuel system monitor DTC does not mean the fuel system itself is at fault, but that there is a condition that is driving the fuel trim out of range. For example, excessively high fuel system pressure could cause the fuel trim to decrease beyond the parameter stored in the ECM. 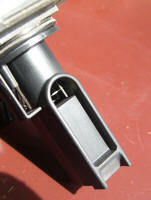 A misfiring cylinder may cause the fuel trim to go rich. 4. 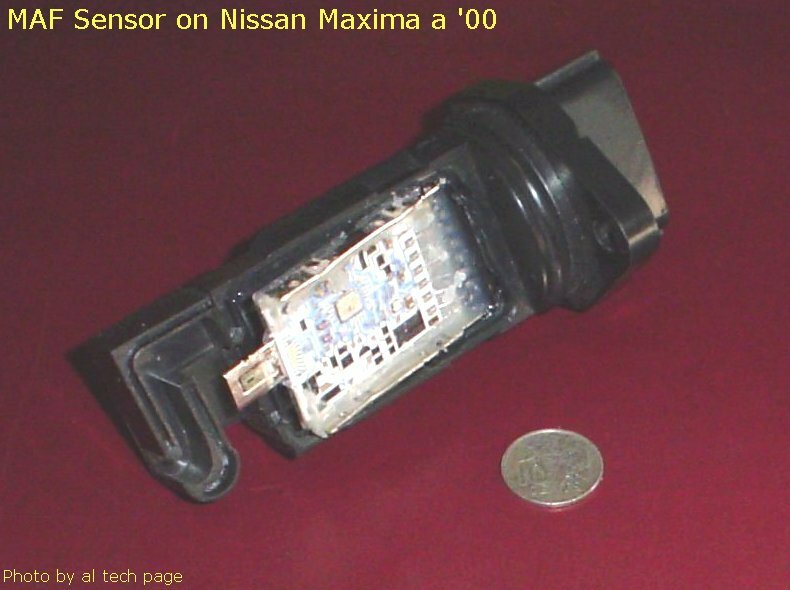 Defective heated oxygen sensor No. 1. 5. Defective Manifold Absolute Pressure (MAP) or Mass Air Flow Meter (MAF) sensor. 6. 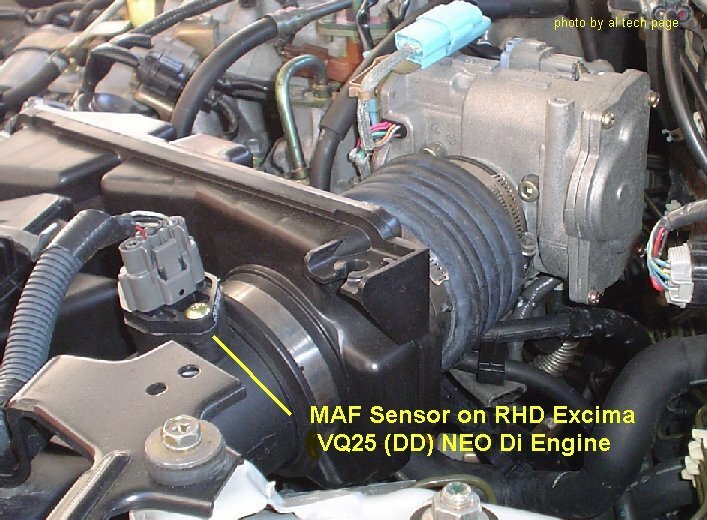 Defective Engine Coolant Temperature (ECT) sensor. 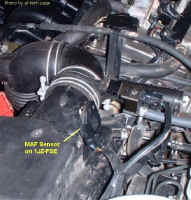 1) Inspect all air induction components and check vacuum leak. Repair as necessary. If air induction components are okay, connect scan tool. Start engine and warm to normal operating temperature. 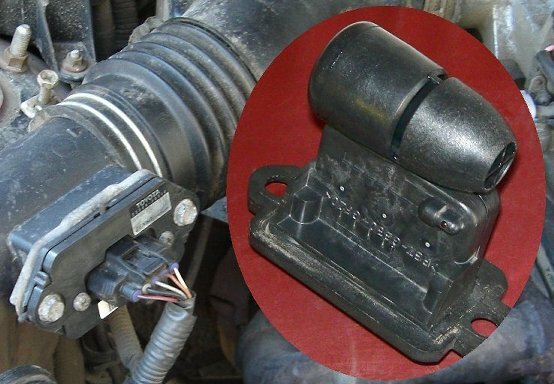 Monitor heated oxygen sensor output voltage, Long FT and Short FT at Idle and increased RPM. 2) If scan tester indicates a lean condition (.55 volt or less, +20 trim) or rich condition (.4 volt or more, -20 trim), go to next step. If results are other than shown, see DTC for Heated Oxygen Sensor Circuit. 3) Inspect fuel pressure. Repair as necessary. 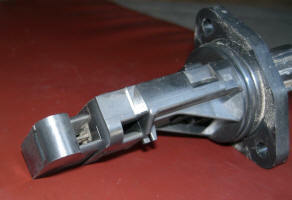 If fuel pressure is okay, inspect fuel injectors. Replace injectors as necessary. 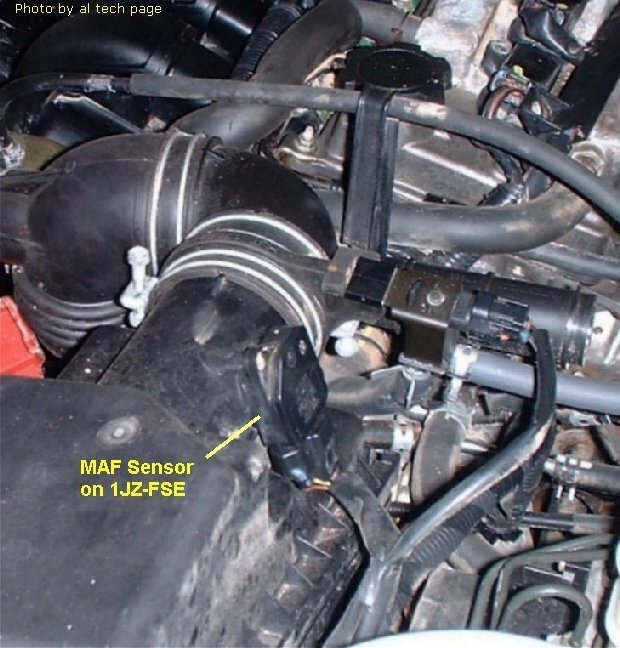 4) If all injectors are okay, inspect MAF sensor or MAP and Engine Coolant Temperature (ECT) sensor and PIDs for above Sensors. Replace as necessary. If both components are okay, inspect ignition system. Repair as necessary. 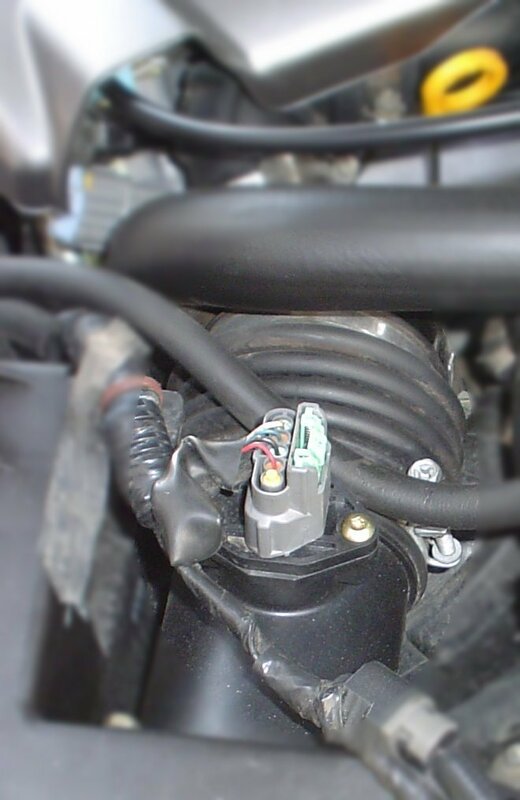 If ignition system is okay, replace ECM and retest. The Mass Air Flow (MAF) sensor converts the volume of air drawn into the engine into a voltage signal. The ECM uses this signal to calculate engine load. 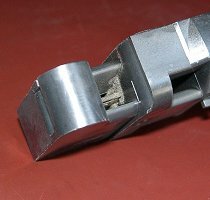 Engine load determines how much fuel to inject, when to ignite the air/fuel mixture, and when to shift the transmission. 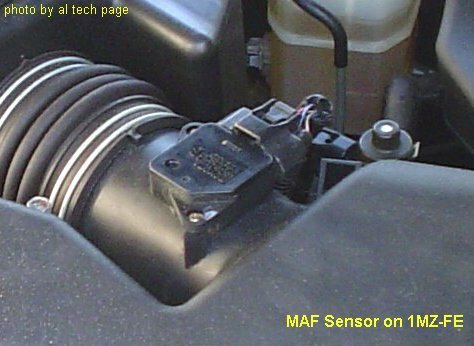 The MAF sensor is located directly in the intake air stream, between the air cleaner and throttle body. В http://www.youtube.com/watch?v=iX2Y44Np8VM пример очистки этого датчика. 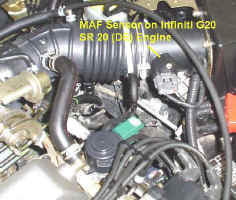 Проверка параметров при "большом расходе"
*Dirty MAF sensor on Crown Athlete 2.5 L 1JZ-GTE VVT-i Engine 350hp (voluntary 280hp limit) and no DTC. 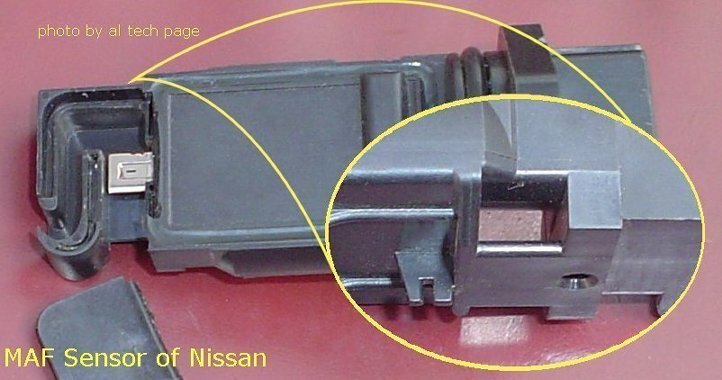 SYMPTOM: A slight hesitation when accelerating from a complete stop. 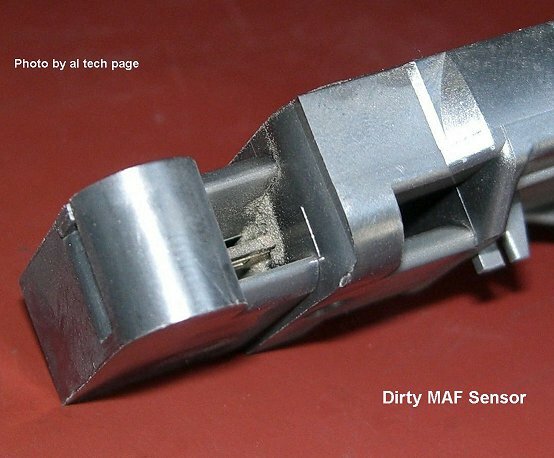 When the MAF gets coated with that big Crud the Check Engine light will ON witch P0171, P0172, etc. (depending on that that more dirty (the Thermistor or the Platinum Hot Wire). 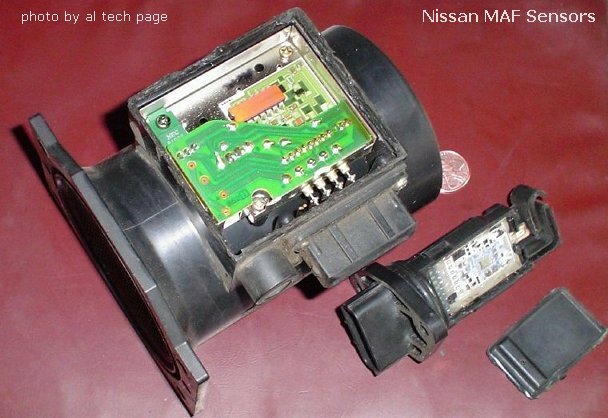 Carefully clean this "device"with carburator cleaner, reset ECM and make sure (after test Drive): car is like new! 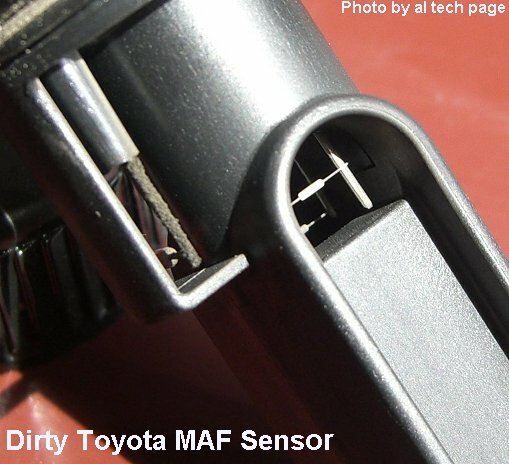 Особенности проверки MAF Sensor Toyota и Lexus. 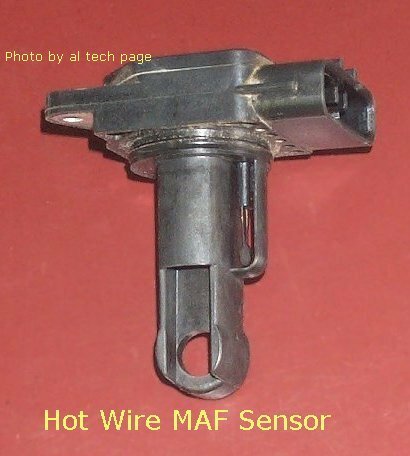 ** Hot Wire MAF Sensor use RX300, Avalon, Camry with 1MZ-FE 3.0L Engine , etc.